Perlmutter on Thursday introduced the Secure and Fair Enforcement Banking Act (SAFE Banking Act), legislation that would allow banks to serve marijuana-related businesses without fear of penalties from the federal government. The bill is a reintroduction of the Marijuana Businesses Access to Banking Act, which was first introduced in 2013 — and again in 2015 — and subsequently languished. Whether the third time’s the charm remains to be seen, but a lot has changed in four years — and even two years — for the marijuana legalization landscape, Perlmutter and co-sponsors Denny Heck, D-Washington, and Don Young, R-Alaska, said in a statement. Twenty-nine states and a couple of U.S. territories have legalized the medical use of marijuana. Among those, eight states and Washington, D.C., also allow recreational use by adults over 21 years of age. “There’s just too much danger in the buildup of cash,” Perlmutter said in an interview with The Cannabist. 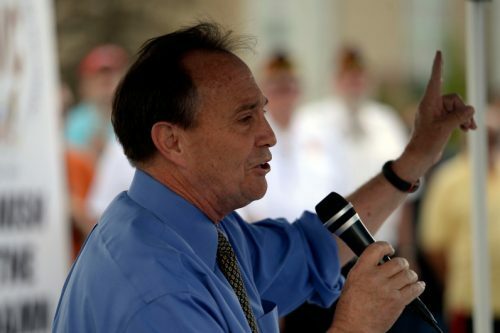 Perlmutter positioned the legislation as a means to boost public safety, referencing threats that arise as a result of businesses operating primarily in cash. He noted the death of Travis Mason, a security guard who was killed during an attempted robbery of a marijuana dispensary in Aurora, Colorado. Perlmutter said he’s optimistic that the bill would find acceptance among members of Congress. It would need to make it out of House Financial Services Committee first. Perlmutter said that the most significant hurdles facing the SAFE Banking Act are committee leaders who haven’t been favorable to marijuana legislation. Perlmutter said he’s spoken with House Majority Leader Kevin McCarthy, R-Calif., about helping to ease some of those committee blockades. “We’ve got to get the federal laws and the state laws to align and not be in conflict with one another,” Perlmutter said. In the absence of specific banking laws to address the cannabis industry, banks, marijuana businesses and regulators are operating under a series of guidelines held over from the Obama administration. Akin to the Cole Memo, which is the Justice Department’s guidance on marijuana law enforcement policy priorities, the Treasury Department’s Financial Crimes Enforcement Network (FinCEN) in 2014 issued a directive for how banks could conduct business with marijuana firms in states with legal cannabis. State financial regulators and members of the cannabis industry have argued that the guidance wasn’t clear enough and didn’t go far enough to spur greater participation from banking institutions. The FinCEN guidance remains in place, but for how long, Perlmutter said he’s been given no assurances.